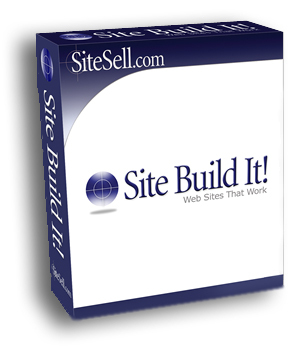 Ready to Buy Site Build It? Ready to commit to building a successful online business? Ready to join the community? We’ll welcome you with open arms! Remember 30-Day no-quibble success guarentee is there to be used. How do you know if you don't like it if you haven't tried it yourself? Click to Buy Site Build It! What happens straight after I order SBI? Two things: - Straight after completing your purchase you land on a page informing you if the transaction went through and that you should get an automated email entitled ‘Get Ready for Site Build It’ which features your details on how to get started, your order number and passwords etc. When you get the email in your inbox (I’ve always found it instant), it talks a bit about the SBI process, promoting the slow-and-steady route to success. This is important and does account for a large percentage of the email. Perhaps the most important part is the ‘How to Get Started’ – well, you’re taken straight to Day 1 of the Action Guide Day 1 is essentially the longer video form of the SBI slow-and-steady process, introduces you to how the Action Guide works and shows you how to navigate your way around SBI. Essentially, you watch Day 1 as a video all the way through and that’s pretty much it. It’s an intro, and shouldn’t take much longer than the 13-14 minutes the video says it should take. Make use of the SBI forums! There are people in the same place as you in every stage of your websites development. You have experienced SBIers on there (aside from the moderators) who are there to help. SiteSell tries to promote the SBI Forums as the number one spot for success focused discussion. “Give a little, take a little” is what SBI tries to promote in the forums. ** Your login name and password will be provided in your 'Get Ready for Site Build It' email. I hope to see you on the forums! "The way SBI! continues to grow and change so that WE can all grow and change, and to do it with such ease, is unparalleled. I'm so fortunate to be part of the SBI! family, and not a day goes by that I don't reflect on this." "My instincts were right. Once I landed on SiteSell.com, it felt like the missing piece to a puzzle falling into place. The more I read, the more my life felt as if it had changed." "And we also stay in touch with SBIers through the SBI! Forums, which have quickly become a supportive, online community of very knowledgeable, positive people." ** Dr Burch's Case Study was one of the key resources that made me buy Solo Build It. Looking back, I can see how he did it! Ready to Buy Solo Build It?